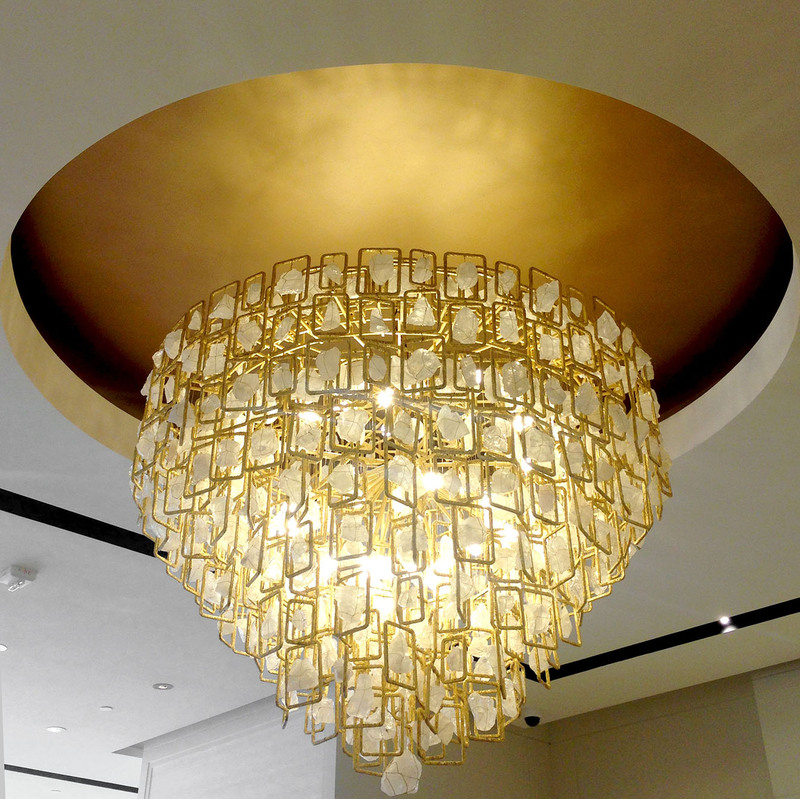 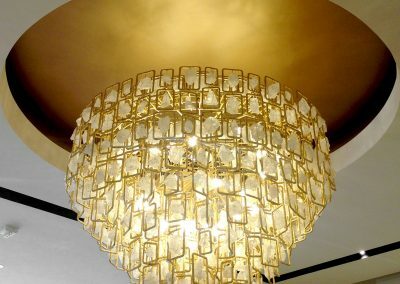 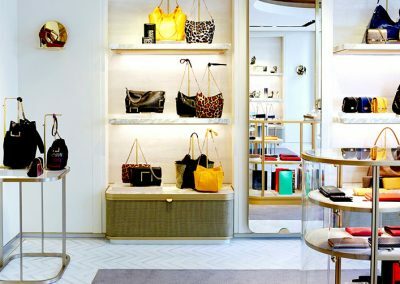 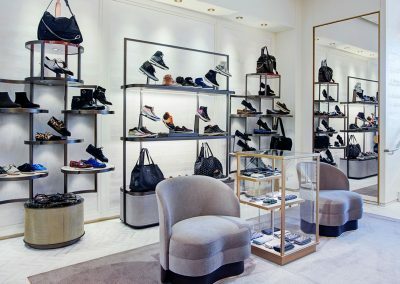 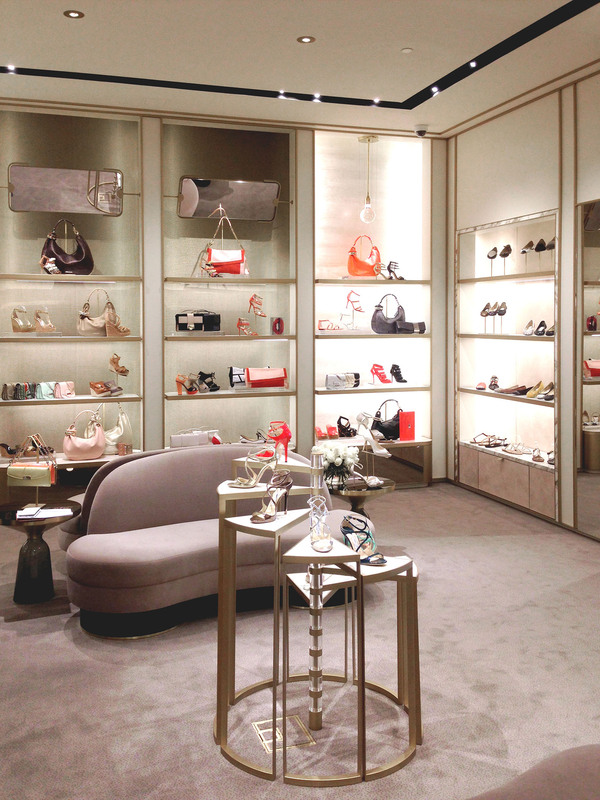 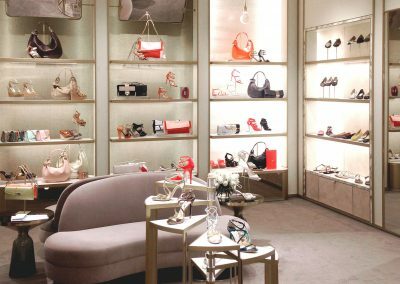 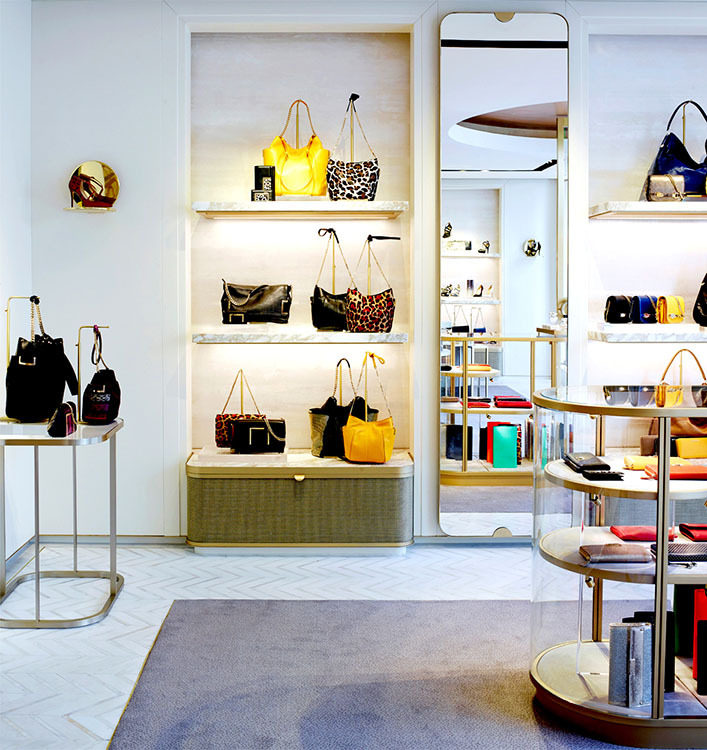 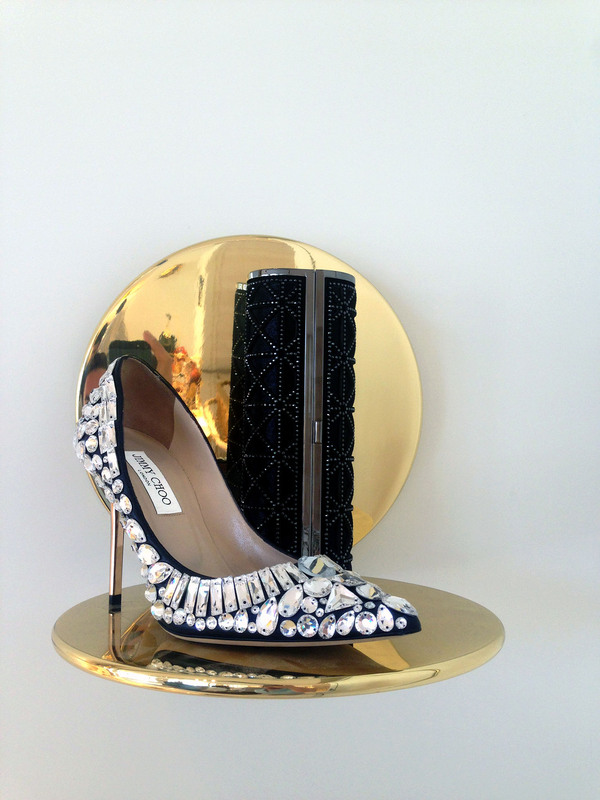 The new Jimmy Choo flagship boutique is one of sophistication and elegance. 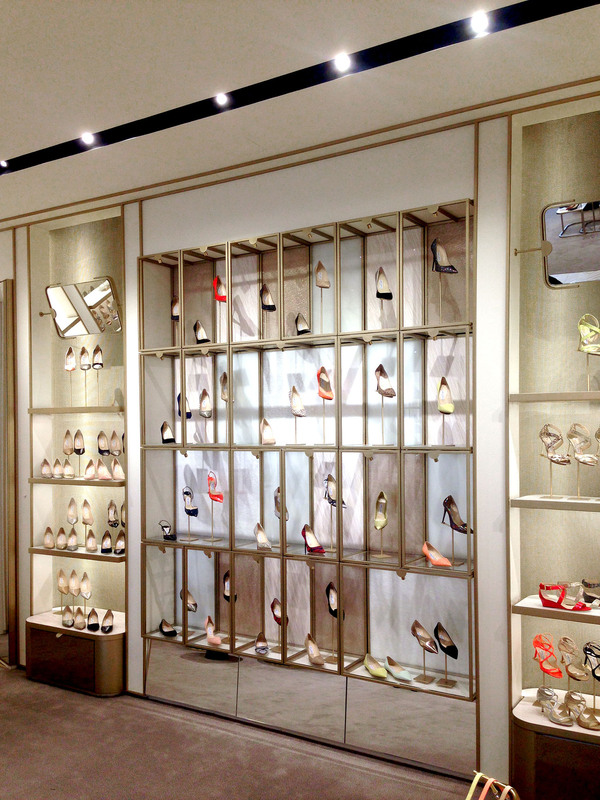 Satin gold, pink marble and mink velvets tone with the oyster stone and mother of pearl chevron floor. 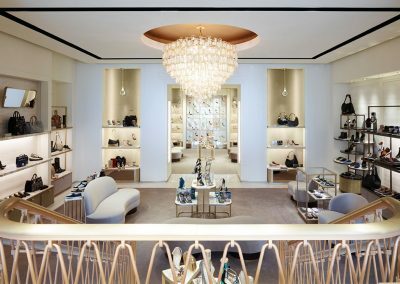 Woven mesh in metallic tones and spherical glass pendants add allure to the space. 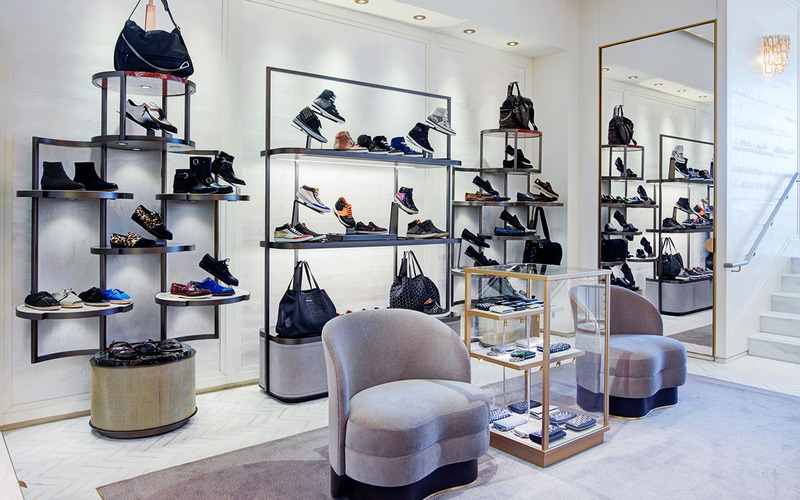 This store showcases the new men’s footwear collection as well as bag collections, sunglasses, and leather goods. 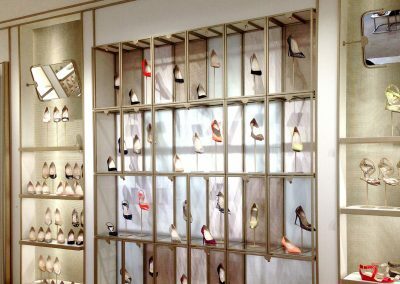 Their new made-to-order shoe customization experience is also prominently featured.